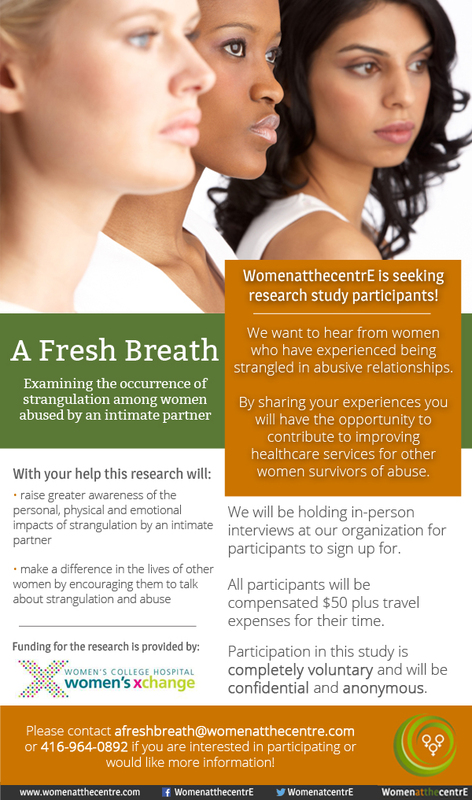 A Fresh Breath is a public research project that examines the occurrences of strangulation among women abused by an intimate partner. Many thanks to Women’s College Hospital – Women’s Xchange for their generous funding of this project. Click the link below to download the summary of our research project.